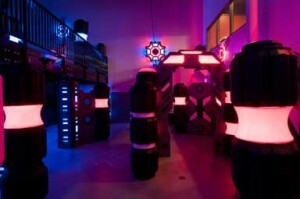 Visit West Michigan’s latest and greatest, state-of-the-art, multi-level Laser Tag Arena. With multiple play schemes, it's never the same game twice. Join up to 29 of your friends and Tag ‘Til You Drag! Great for kids and adults! Parents join in the fun without entering the arena and interrupting the game. Phaser Stations on mezzanine level - Only $1 per player. 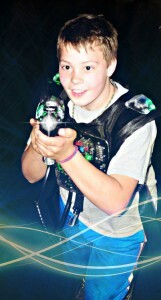 We have laser tag specials several nights a week. Check them out here.